Welcome to the Hexa-Go-Go blog tour! I know it's been quiet around here lately, but I just had to help one of my very best quilting friends, Tacha Bruecher, spread the word about her amazing new book. As you may have guessed from the title, Hexa-Go-Go is all about projects featuring hexagons! Never tackled hexagons (or, as many quilters like to call them, "hexies") before? Have no fear. For the uninitiated, Tacha begins the book with a robust, 15-page section that takes the reader step-by-step through the process of English Paper Piecing. For more experienced paper piecers, the book contains a variety of projects that are sure to inspire sewists to put their hexagons to use in fresh, unique ways. This is Tacha's first book but, based on the high quality of Hexa-Go-Go, I predict it won't be her last. 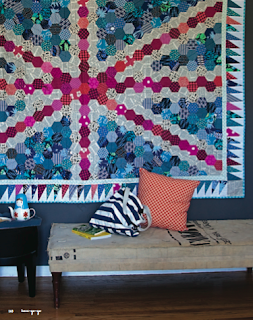 Tacha is an amazing quilter and crafter, and both her style and skill are presented beautifully in this book. 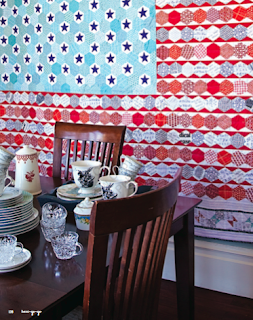 Tacha is one of those talented crafters whose fabric choices and original patterns reflect the eye of a modern quilter, but who simultaneously pays homage to the history and traditions of quilting. The result is a beautiful book that is sure to become a classic! I've made no secret of my (ahem) distaste for hand sewing. Little did I know that my first attempt at the technique -- a quilting bee block for Tacha that I made years ago -- would actually make its way into a book! See the quilt above? 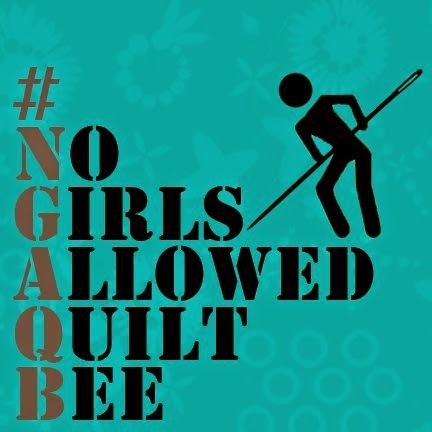 Tacha included blocks made by several members of the Bee Inspired quilting bee into the original Over the Rainbow quilt pattern. 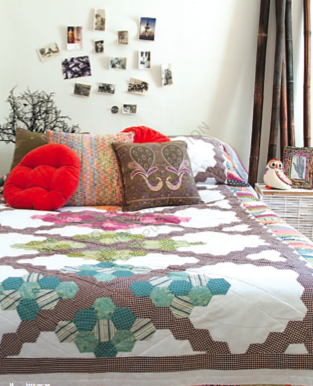 The Argyle Quilt (below) is another favorite. 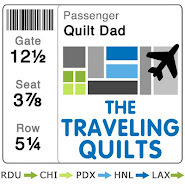 Tacha and my friends at C&T / Stash Books are offering one lucky Quilt Dad reader their very own copy of Hexa-Go-Go. Simply leave a comment on this post and tell me your experiences with English Paper Piecing. Have you ever done it before? Do you enjoy it? What's your favorite project you've made with hexagons? I'll randomly select a winner next week. The fine print: US-based winners will receive a hard copy of the book, while international winners will receive a digital e-book. The full list of stops on this fun tour can be found over on the Fat Quarterly site. Be sure to visit all of the stops to increase your chances of winning!